An application to obtain positiveLabour Market Impact Assessment (LMIA) can be submitted by the employer to hire a foreign worker, if an employer is not able to find a candidate from the local labour market. In order to obtain a positive LMIA for their TFW (Temporary Foreign Worker), employer should meet all the requirements of Service Canada / ESDC and Immigration Canada. In order to verify the authenticity of the job offer, employercan be questioned by the ESDC/Service Canada about the recruitment process.They canalso verify if the employer has submitted any LMIA applications in the past. If found satisfactory, the Employment and Social Development Canada (ESDC) / Service Canada may issue a positive LMIA. Through LMIA approved job offer,the applicant is offered Closed Work Permit.It is for a particular occupation and from a specific employer. If you hold a positive LMIA, Canadian work permit usually take less than a couple of months to be processed. However, the process mainly depends on the availability of the required documents. We have been through this process a number of times, however our officersat GEPSI Immigration Services are highly experiencedin handlingsuch procedures skillfully and exquisitely to ensure best possible outcome. Normally, the work permit is issued for about two years yet it is determined based on the type of your occupation and job requirements. 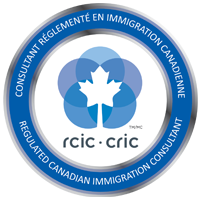 Application for the work permit extension is possible while you are in Canada. LMIA process is very strict and complicated. It can be expensive and time consuming if done wrongly. Therefore, if you are a Canadian Employer or an employee having an employer who agrees to offer you a full-time permanent job in NOC 0, A or B, must contact GEPSI Immigration Services at earliest in order to let us determine your eligibility before you proceed. Our guidance officer will evaluate your application based on your education, experience, company background and other related areas and will assist you in the most convenientway in order to ensure that you get the best possible results. Please contact us to arrange your appointment, should you wish to visit us for further guidance.